Yes! It is high time to get your CSCS cards. CSCS or Construction Skills Certification Scheme is very essential for any construction site workers. If you are a construction site worker, and you want to ensure complete safety at your work site this card will help you the best. CSCS cards are colour coded depending on one’s experience and qualification. So, you must make sure that you have the appropriate colour coded card with you. The best part of CSCS is that, it is evenly beneficial for both the employees and the employers. No doubt, now your major query will be how to own this valuable card. Now, it is very simple and easy to own your CSCS at the most cheapest rates. 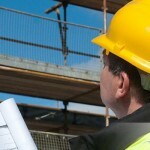 There are well qualified and professional teams who can help you understand all about CSCS and its advantages. These professionals will assist you to register for the health safety and environment test and will speed up all the formalities required for CSCS. So make it fast walk-in today and own your card.